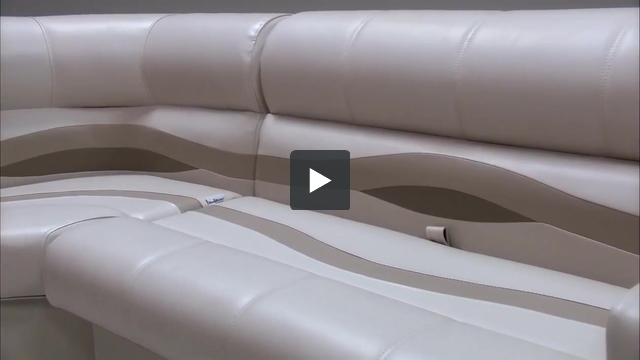 These pontoon boat seats make up our Premium PRG90 pontoon furniture set. What are the actual dimensions (all 3) for this set? 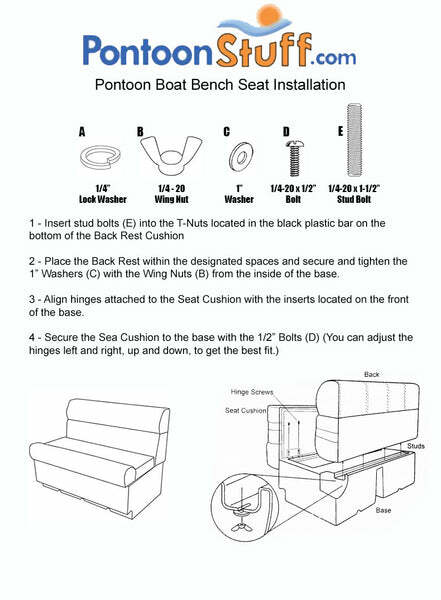 Overall Pontoon Seat Dimensions: 90" From outside armrest to outside armrest for the Pontoon Bench Seat Package. Unfourtantly, we do not offer any custom colors. The closest color combination we have for pontoon seats is a burgundy, tan and beige. Our pontoon arm rest are 7" wide. This pontoon grouping should be a very good fit for your 85" inches of avliable space on your pontoon boat. I want to install a bench seat across the back of my runabout. The 55" is too narrow and the 90" is too wide. Can I purchase a 90" without the arm rests? The 76" bench would fit perfectly. Also, since I won't need the bench for 4 1/2 months, could I custom order it in White w/ Teal accents? Thank you. Unfortunately, we do not offer custom furniture. And you if you do not want the Arm Rests, you can order the items individually. what the battery that connects to the motor ? where does it go? I do not see the backside of the rear bench seats. Some people will place it inside of their bases to accomodate for the space being taken up. Does this bench come with the 2 armrests as per the photo? Yes. Thats what will give it the final 90" measurement listed below. what is the weight of the PRG90 ? This Pontoon Grouping weighs roughly 150 lbs. That includes the cushions and bases as well as arm rests.